Saturday 10 am - Noon. 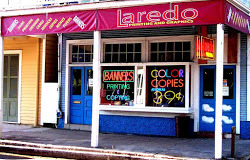 Laredo Printing offers full service affordable printing. From a black and white document to a full color booklet or brochure we can provide a printing solution at a competitive price. ENVELOPES: We provide 24 hour 4 color envelope printing. INVITATIONS: We can design and print invitations or we can imprint your own design on invitation stock that you provide. 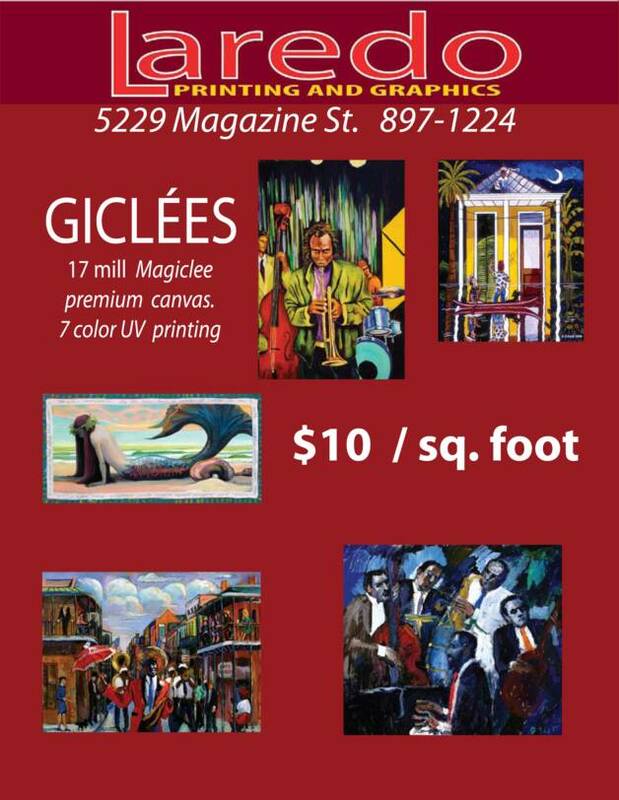 GICLEES: We scan and print artwork and print on canvas. We also can provide stretching services. BANNERS: We can do any size banner. 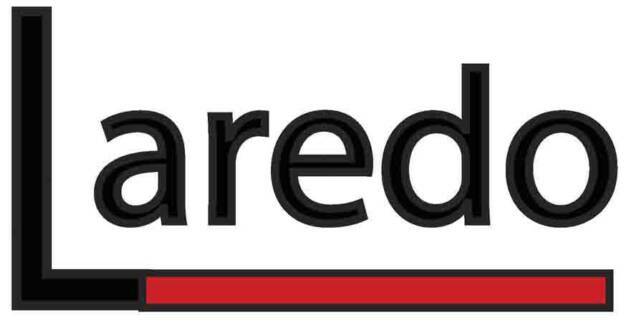 Our banners are heavy duty vinyl with reinforced webbing. Our banners will survive the elements. If you want a banner that lasts, we can produce it. We can print vivid digital color as well as cut vinyl banners. We print all our banners within 24 hours. BUSINESS CARDS: Just bring us your idea and we will turn it into a business card that will impress. Full color, thermographed (raised printing) or folded. 24 HOUR AND NEXT DAY PRINTING. LARGE FORMAT PRINTING: Posters, static cling, Back lit film, canvas, vinyl, yard signs, banners. BOOKLETS: Overnight printing on full color booklets. FOR LARGE FILES USE A SERVICE LIKE DROPBOX OR GOOGLE DRIVE.